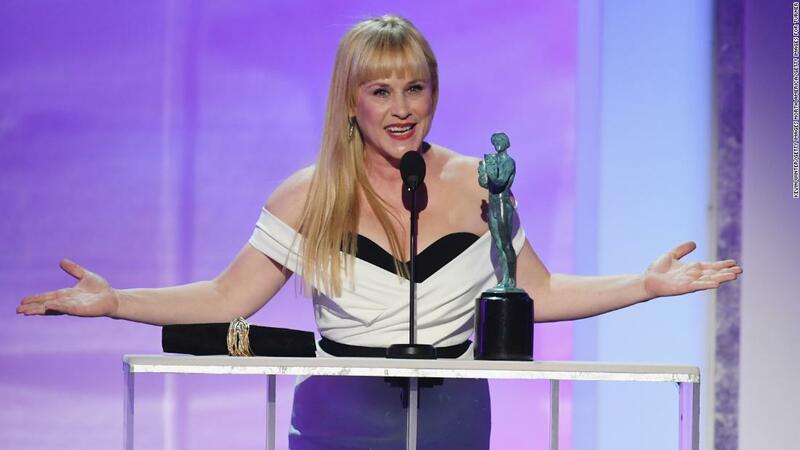 (CNN) Patricia Arquette used her moment in the spotlight at the Screen Actors Guild Awards on Sunday to thank a person whose name is more often uttered on cable news than inside Hollywood events: Robert Mueller. Arquette, who won for best female actor in a TV movie or limited series, has been an outspoken critic of President Donald Trump and his administration. The “Escape at Dannemora” star has enjoyed much acclaim for her work in the Showtime drama. Earlier this month, she won a Golden Globe for her work on the show. ← Probably has a lot of thrust too!! !